Did you know that we both want the same thing? Every single person up and out of their seats, dancing and partying the entire night. We can't wait to pack your dance floor! One of the best parts of our job is using our skills as DJs to connect everyone through the power of music. Being a Wedding DJ isn't just about having the music. It's about knowing what to play, when to play it, and knowing exactly how to rock your wedding. Click Here for My Reviews! In addition to expediting a packed dance floor, we're also your Masters of Ceremonies. We are articulate, smooth, and very refined on the microphone. We will never do or say anything to embarrass you or your guests. We don't do gimmicks, won't do tacky games and we would never think about doing anything corny. Every couple deserves a classy and elegant wedding day and we can't wait to help you get yours. 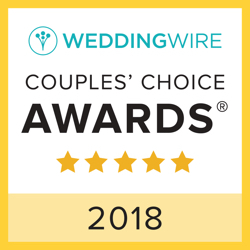 The passion we bring to each wedding provides a unique experience for our clients on the most meaningful day of their lives. We see no obstacles in making your wedding day exceptional, and we are honored to have the opportunity. We have revitalized traditional wedding entertainment by creating an energy that will leave your guests with an unforgettable experience and packing dance floors. Jeff is very experienced and professional! He was extremely helpful in walking us through the ceremony and reception plan. He made suggestions regarding things to prepare for and of fun things to include in the evening that we never would have thought of on our own. He came to our home to discuss the initial itinerary/plan which was very convenient for us, especially with all of the other things we were trying to finalize before the wedding day. We had him come to our rehearsal the night before the wedding which was so helpful as he was able to coordinate with our friend who was performing our ceremony. Our friend got ordained specifically for our wedding and this was his first ceremony so I know he was grateful to be able to plan with Jeff during the rehearsal and make sure they were both on the same page. We had a lot of special requests for Jeff in terms of songs to play, and changes to the traditional wedding reception events (such as the timing of the wedding party entry song, and the father/daughter dance consisting of 2 songs and including the brides father, stepfather, and both grandfathers) and Jeff rolled with all of our requests flawlessly. This meant so much to us because it would be easy for someone to tell us no, but Jeff didn’t, he helped make sure the wedding we had pictured in our heads is what actually happened that night. We couldn’t have asked for more! We also included a song request form with our invitations so that all of our guests could return their RSVP with a special song request. I compiled a list of guest requests for Jeff and he hit them all! This allowed all of our guests to hear at least one song that night that they really loved and it helped everyone feel involved and have a good time. We're here to make your experience unforgettable. Your wedding should tell your story as a couple. Let us help you feature those distinctive qualities and special moments that make your love story unique. Together we’ll create wonderful moments for that fairy tale day by adding your own personal signature to the wedding traditions, making them new and unique. We’ll integrate the songs that are meaningful to you as a couple and focus attention on you as you celebrate the official start of your lives together. Your wedding will be a truly memorable experience as we attune our services and style to craft your overall vision of the perfect wedding day, one that tells your story. You will be able to relax and enjoy your own wedding reception. We'll make sure you are in the right place, at the right time, looking outstanding. We ensure that you will savor your reception as you celebrate with family and friends. 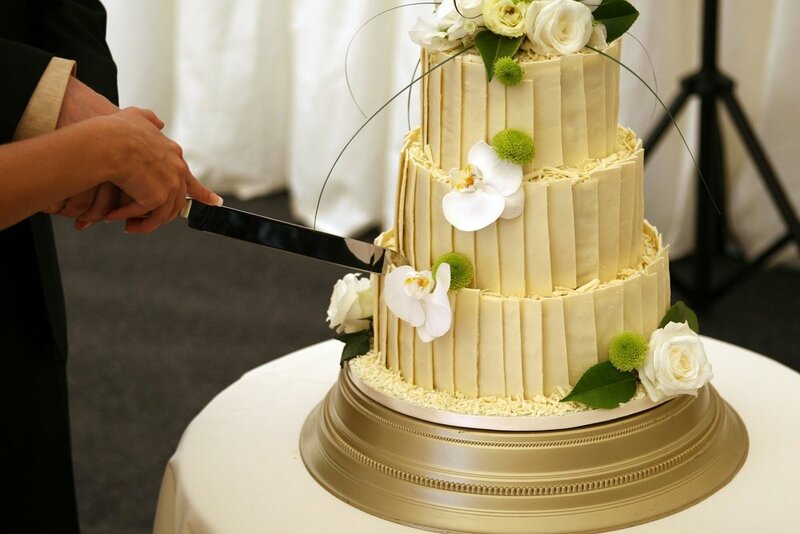 We'll take care of the details and coordinate with your other wedding professionals. We will make certain that you enjoy every moment without worrying about the minute to minute minutiae. JEFF MOORE- You are an amazing DJ- and so talented at what you do! I don’t know how many people complimented on how awesome you were for our wedding/reception!! Best Dj I’ve ever seen, heard, and performance- Ever! Even my cousin who is a professional musician said you were the best Dj he’s ever experienced. You knew the crowd so well. Great mix of music for all ages at the beginning, and then you catered to us young folk and made the party and dance a blast!!!! We are so glad we had you to DJ our wedding, and we’d pick you again for any special occasion any day. We had the time of our lives Sept 5th and you helped make that happen for me and Dustin!!!! Check availability of your wedding date OR event HERE. I respond FAST!! Just tell me how you HEARD about me. Maybe it was Wellmans Trivia, Other Trivia Nights, A Wedding you attended, Make-A-Wish, Other Event, Etc. , Etc.